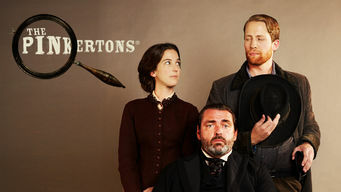 How to watch The Pinkertons: Season 1 (2015) on Netflix Singapore! Sorry, The Pinkertons: Season 1 is not available on Singaporean Netflix, but you can unlock it right now in Singapore and start watching! With a few simple steps you can change your Netflix region to a country like Pakistan and start watching Pakistani Netflix, which includes The Pinkertons: Season 1. 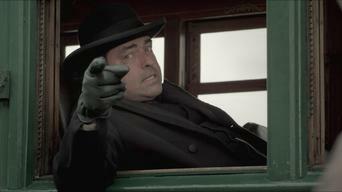 We'll keep checking Netflix Singapore for The Pinkertons: Season 1, and this page will be updated with any changes. 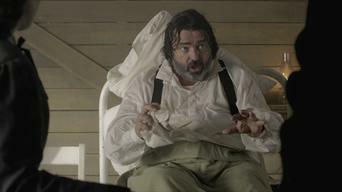 The Pinkertons: Season 1 is not available in Singapore BUT it can be unlocked and viewed! In the 1860s, the detectives known as the Pinkertons solve some of the Wild West's toughest crimes by analyzing clues and thinking like crooks. 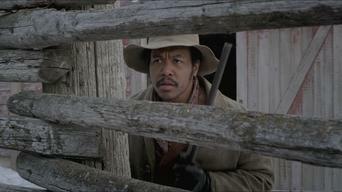 A Pinkerton man would never give up until he caught the bad guys. The same goes for a Pinkerton woman. 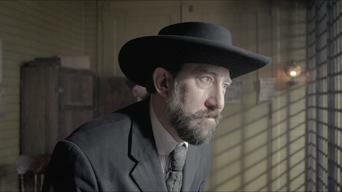 Season 1 of The Pinkertons has 22 episodes. Because different Netflix countries have different availability for episodes, you'll need to check the episode listing below to see which are available in Singapore. 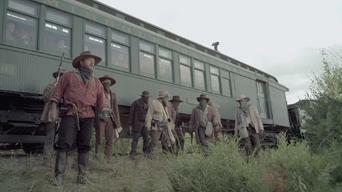 The son of the famed Pinkerton agency's founder and his new partner, America's first female detective, investigate the nation's first train robbery. When a whiskey magnate is killed in a brothel, the Pinkertons run afoul of Sheriff Logan while investigating the murdered man's partner and family. When an actor dies on stage during a performance of "Hamlet," Will goes undercover as a performer with a traveling theatrical troupe to investigate. A dispute over a card game is actually an international incident between the U.S. and Japan, and Will and Kate's client seems to be hiding something. Will and Kate find themselves embroiled in the world of politics when a charismatic Civil War vet running for mayor is attacked during a speech. Agency founder Allan Pinkerton returns to Kansas City to join Will and Kate's investigation into the murder of one of their own. Will's pledge to help a man find his dog's killer unexpectedly lands him and Kate in the midst of a feud between railroad bosses and local farmers. Racial war threatens to erupt when a member of the Chippewa tribe is killed in the city and the only witness is a Sioux boy who doesn't speak English. The Pinkertons stumble upon a secret about their friend, John Bell, while investigating the disappearance of a woman's nephew. Kate's loyalty is tested when an old friend, a boxer, is accused of murdering a fellow pugilist during his league's visit to Kansas City. 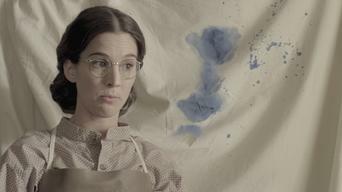 Will and Kate delve into the supernatural when a medium's vision of a touring spiritualist leader's murder comes true. Will and Kate's investigation into a stranger's murder leads them to four former Civil War nurses and the dark secret they share. 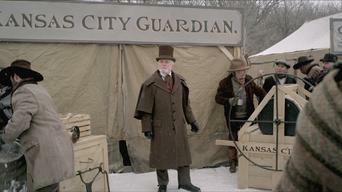 A woman asks the Pinkertons to negotiate the release of her kidnapped husband, but things take a desperate turn when the ransom drop goes awry. 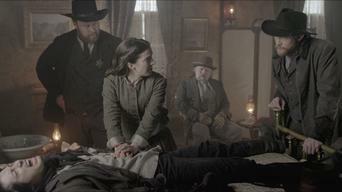 The detectives suspect a connection between a murder and the arrival of Kate's nemesis, a Southern general hoping to build a new confederacy. When the remains of Logan's one-time girlfriend are discovered, Will and Kate's investigation leads them to the sheriff himself. A blizzard traps Will, Kate and a criminal in their custody at the Dubois. When word gets out, the detectives must fend off an angry mob. 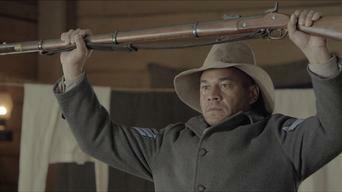 The Pinkertons uncover alarming secrets as they investigate the disappearance of a cook with the Buffalo Soldiers, a black Civil War cavalry regiment. Will and Kate go undercover as wealthy patrons when the administrator of a children's charity is found murdered the night before a benefit dinner. When Will and Kate meet a stage coach carrying a new client, they find him, a fellow passenger and the driver dead inside, victims of murder. Will's brother arrives in Kansas City -- supposedly to conduct a performance review -- but Will and Kate believe there's more to his visit. A confederate spy's biography makes allegations against Allan Pinkerton, who's accused of murder when the book's publisher is found murdered. Will and Kate race to stop a sniper who's holding Kansas City in the grip of fear, unaware that his targets are anything but random.